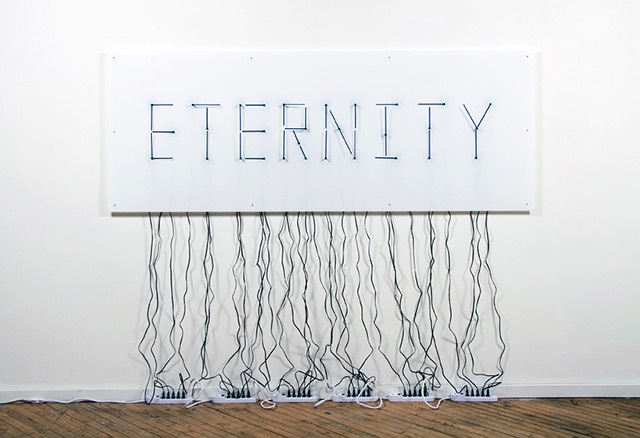 In this wonderful sculpture by Alicia Eggert and Mike Fleming, the pair installed 36 clocks behind a piece of white acrylic, and manipulated the hands to read “Eternity”. Once the clocks are started, they read “Eternity” only once every 12 hours. 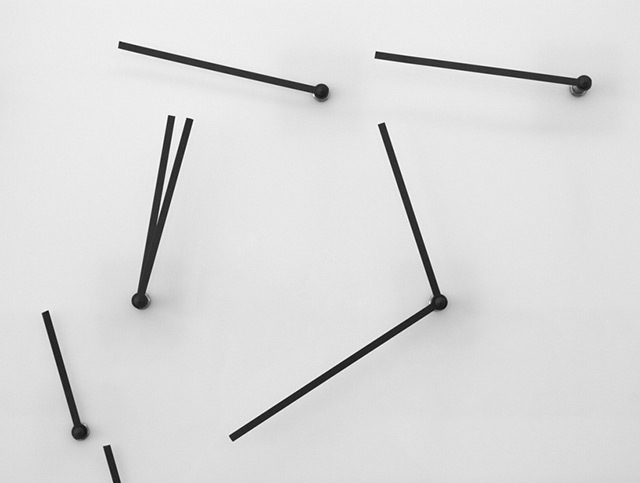 The result is a hypnotic meditation on time and an elegant kinetic sculpture. The video above shows the piece go through the whole twelve hour cycle in just 31 seconds, which is over 1,000 times its actual speed. How much of it would you last through in real life before dying of boredom? // Images and video via the fantastic blog Today and Tomorrow.